Basquia Cree Territory: West of northern Lake Winnipeg, especially the Saskatchewan River delta and the Pas region. 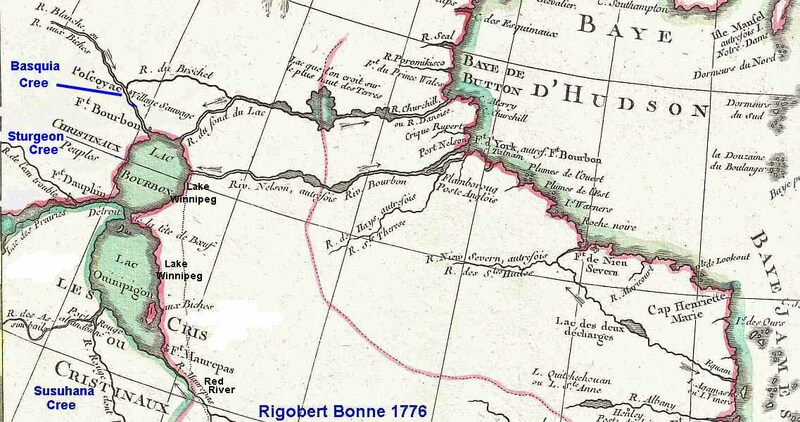 The Basquia Cree were severely diminished by the smallpox epidemic of 1781. 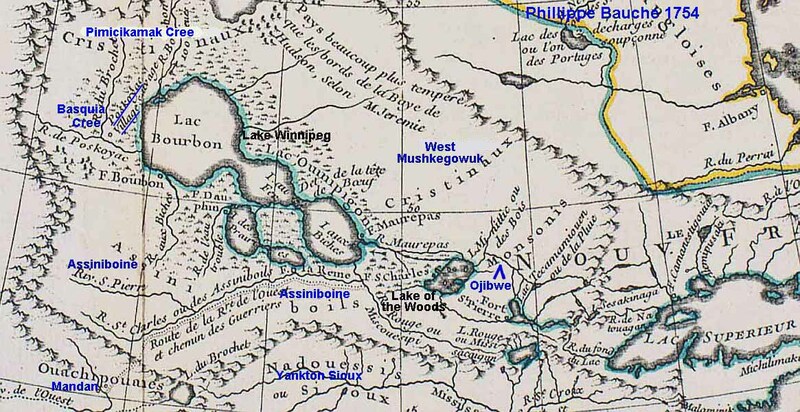 Subsequently, West Mushkegowuk and Saulteaux migrated into their territory. 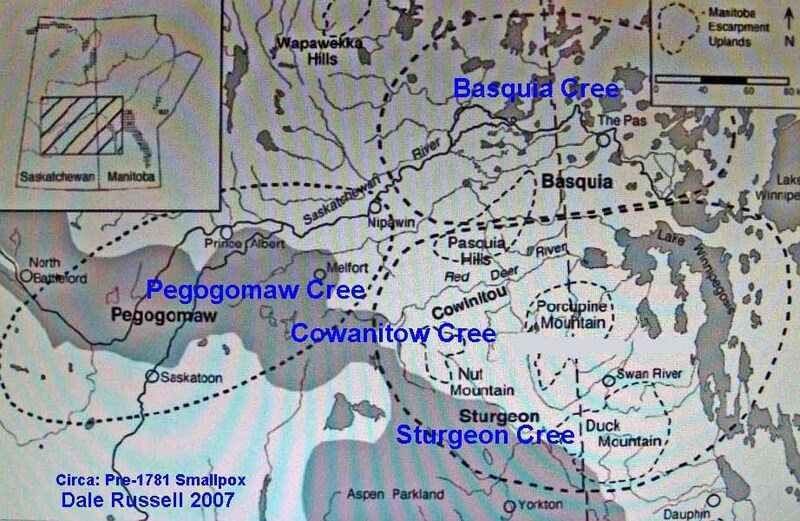 Were you to visit the Opaskwayak's History page, it states quite clearly that their first major interaction with the French was with the building of local Fort Paskoyak in 1749....some 32 years prior to the smallpox epidemic. There were only Basquia Cree at that location at that time.